Designation: Senior Consultant (Nephrologist) | Phoenix Hospital, Allahabad. Dr. A. Gupta is a Senior Consultant in the branch of medicine who deals with the Physiology and Diseases of the Kidneys. He is Specially trained in Paediatric Nephrology, Critical Care Nephrology and Extra Corporeal Membrane Oxygenation. 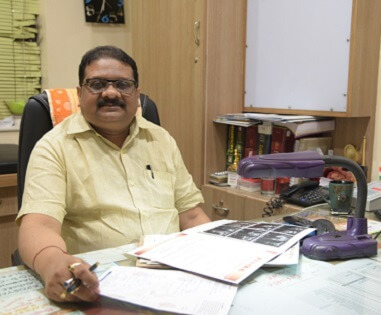 He has more than 20 years of experience in the field of Nephrology and he has a unique mix of experience of having worked in Academic Institutions and Corporate Hospitals in his field. Latest Addition by him is BCM Fresenius body composition monitor calculates ECF, ICF, LBM, Fat Free Mass, OH, Over - Hydration. This machine is Firstly installed in Private sector and after that Second is in SGPGI. - Indian Society of Nephrology. - Indian Society of Organ Transplantation. - Peritoneal Dialysis Society of India. - Association of Physicians of India. - International Society of Nephrology. - Indian Society of Critical Care Medicine. - Uttar Pradesh Diabetes Association. - U.P. Chapter: Association of Physician of India.